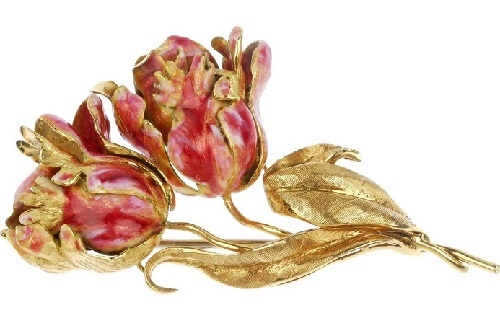 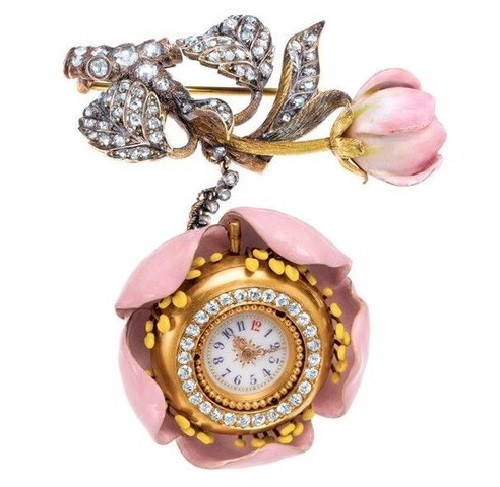 At the beginning of the 20th century, Tiffany and Co. produced a number of fabulous, realistic floral brooches. 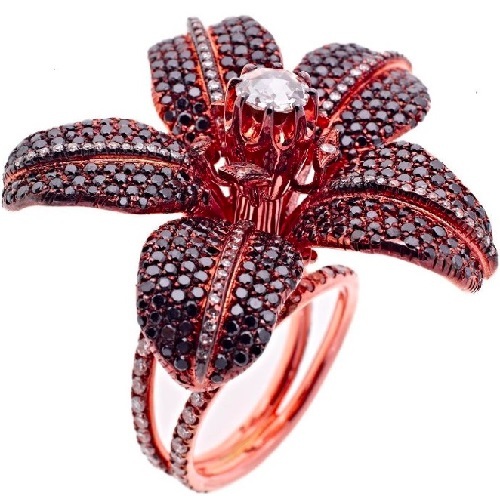 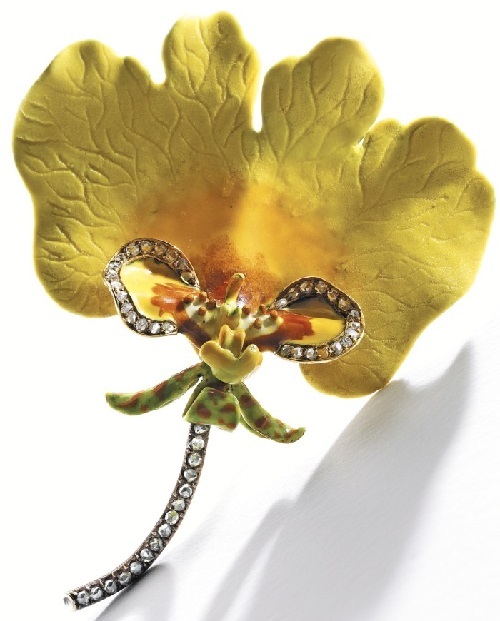 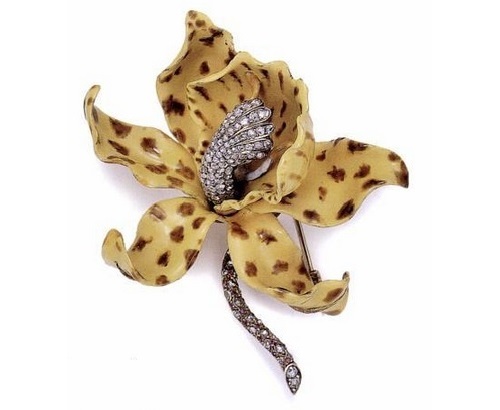 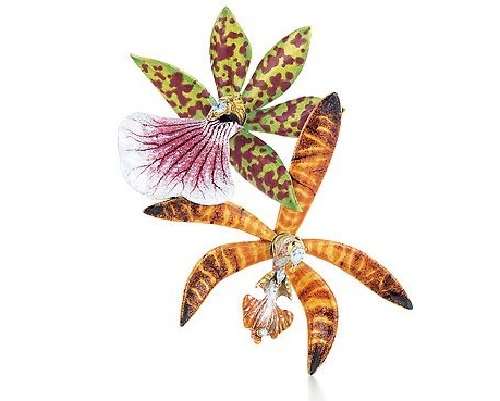 Among them were realistically beautiful exotic orchids – notable designs by a talented jeweler G. Paulding Farnham. 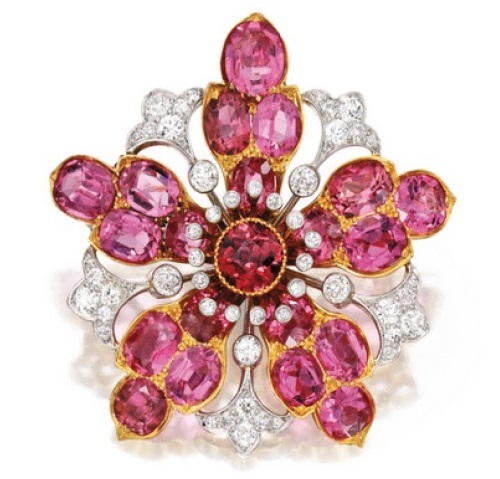 Paulding was born in 1859 in New York to a wealthy family. 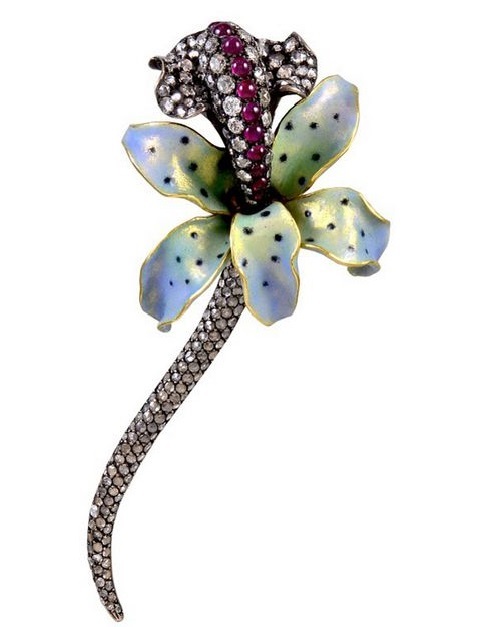 He first started working for Tiffany’s around 1885, having worked for over 23 years, from 1885 to 1908. 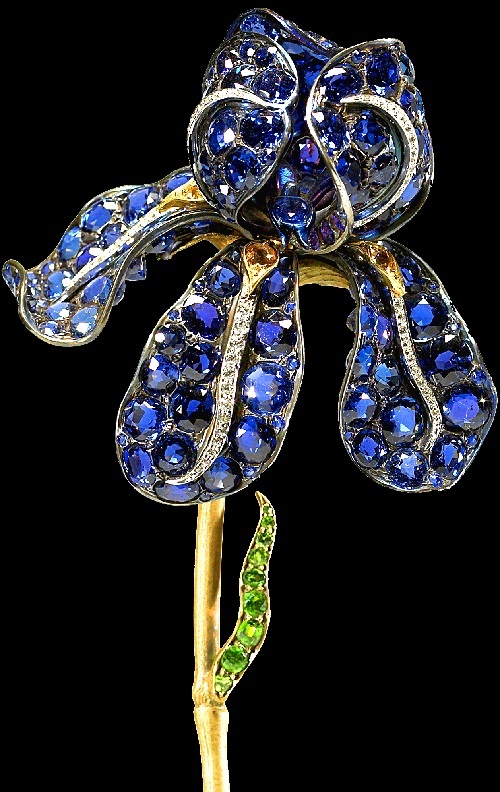 Farnham became the artistic director of Tiffany’s display of gems in Paris in 1889. 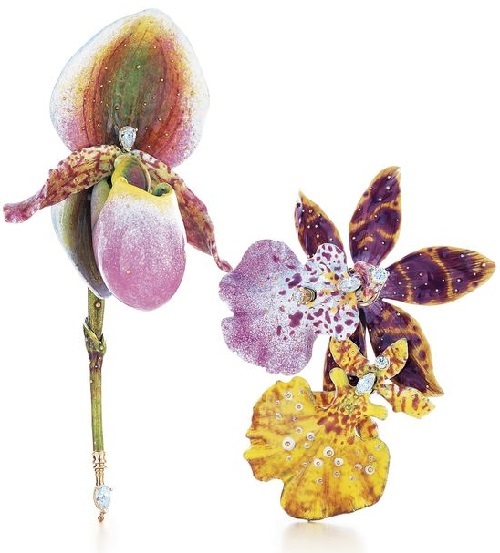 These extravagant orchid brooches by G. Paulding Farnham were in the firm’s display at the Universal Exposition of 1900. 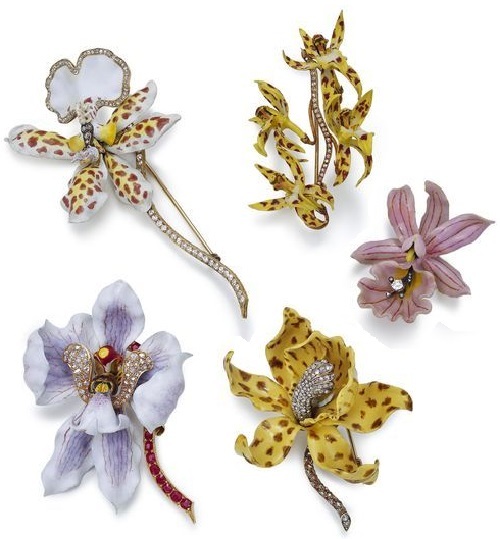 The brooches were among the twenty-four orchids designed by Paulding Farnham for Tiffany & Co. Paris Exposition in 1889. 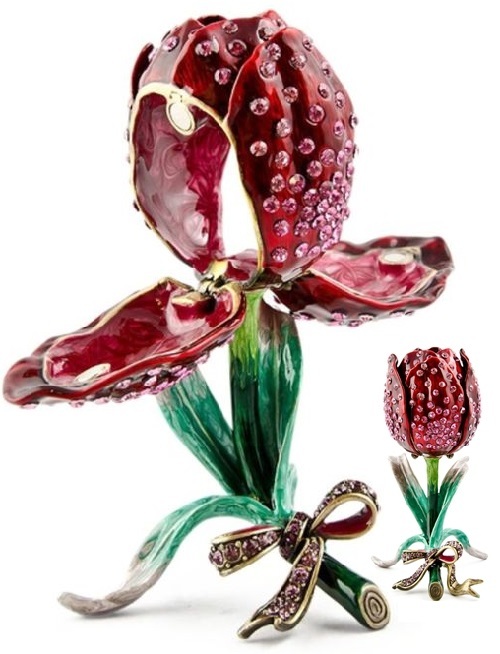 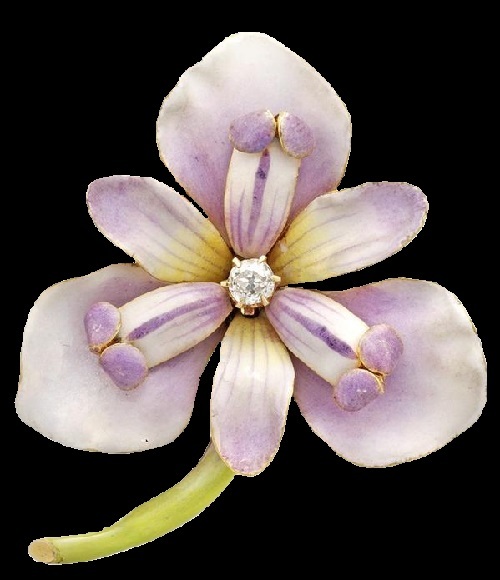 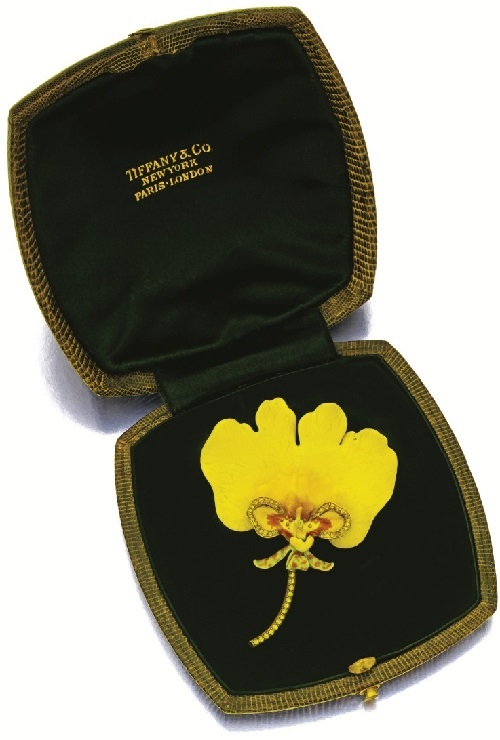 Tiffany & Co. received the Gold Medal for Jewelry at the Paris Exposition in 1889 largely due to the success of the enameled orchids designed by Paulding Farnham. 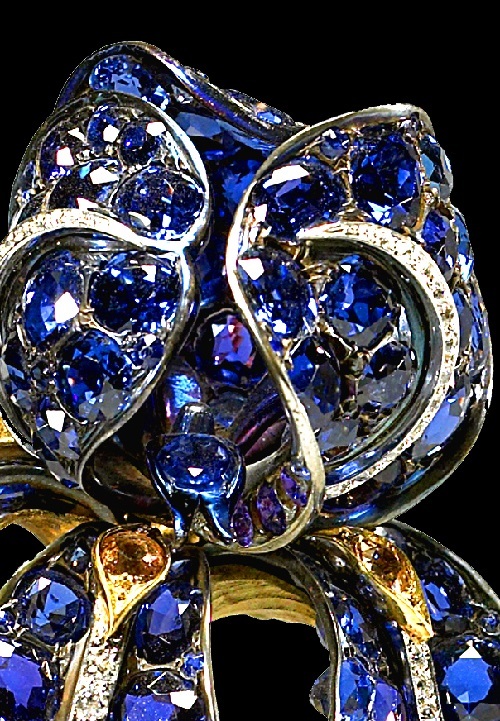 Faceted blue sapphires vary in intensity of color and size. 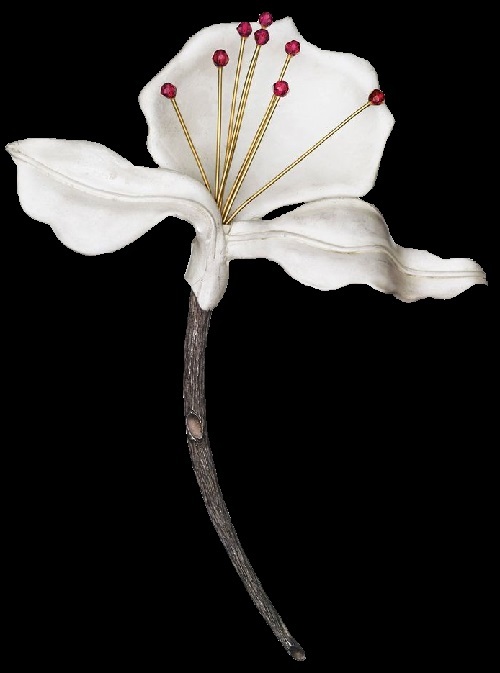 The blossom is composed of three sepals, and drooping sepals, in oxidized silver, beneath which are three small branches in etched gold. 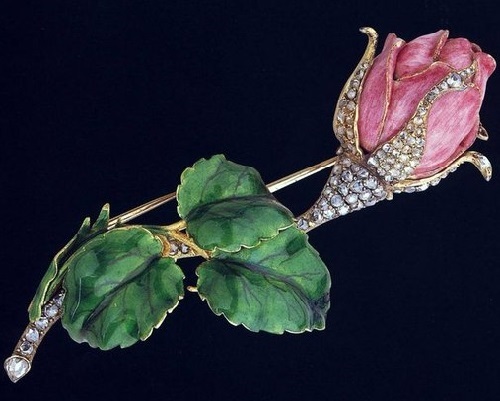 The blossom emerges from a long, etched gold stem, from which spring three spathes rendered in demantoid garnets mounted “a jour” in gold frames.